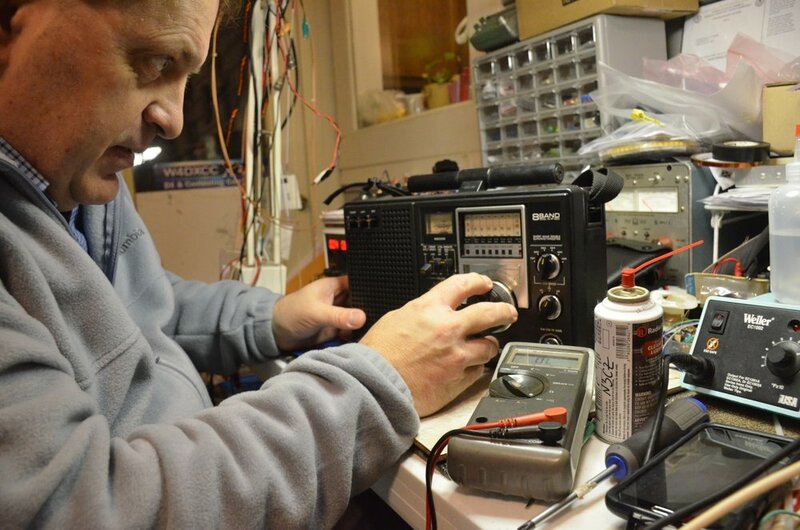 hamradio.repair | We service and repair a wide variety of amateur radio transceivers, amplifiers and shortwave radio receivers. We service and repair a wide variety of amateur radio transceivers, amplifiers and shortwave radio receivers. Broken radio equipment? I can help! I am Vlado Karamitrov (amateur radio callsign, N3CZ) and I am a professional radio electronics engineer. I am located in Asheville, North Carolina, USA. By profession, I work on a wide array of two-way communications systems for a prominent innovator in the world of mobile communications. I manage a team of support staff and we pride ourselves on the best customer service in the industry. In the past I have been involved with component level repair and maintenance of a wide variety of analog and digital radio communications equipment and systems, for commercial, marine, avionics and amateur radio. At home, I’m an avid amateur radio DXer and currently spend time building original, home-brew transceivers. I also love repairing ailing electronics in my spare time. I love a good challenge…! While I can, of course, make what I consider minor repairs to radio equipment (replacing finals, faulty components, etc), I love the more challenging cases. If you have a piece of equipment you would like to bring back to life, contact me! For the cost of shipping and a modest bench fee, you’ll know whether your equipment can be repaired or not. In almost every case, as long as parts are available, I can bring your equipment back into service!